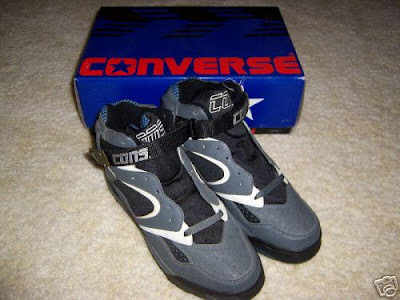 Hello all, and welcome to the Converse Blog's Friday Flashback. Today's post is about the Converse React technology. React was used in different years, from the initial React Juice to double stacked React called RAW (React at Work), which actually leaked. This resulted in a more solid React and eventually to React 2 which was not capsulized, think Asics Gel. Below is a little information about the technology. 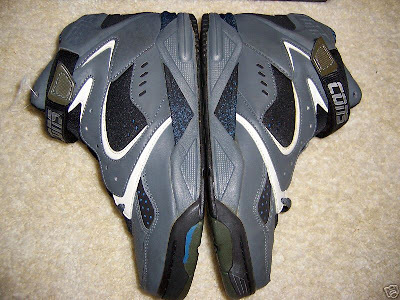 Converse will introduce its React System in 1992. According to Mr. Bell, React incorporates a "responsive gas-charged fluid" that flows through compartments within the shoe. The system includes an ankle wrap that adjusts to fit an individuals ankle and a heel module to stabilize against shock. "Technology is the missing link we needed in basketball," Mr. Bell said. "We had great price, great ads, but we were missing technology." From Mickey Bell, executive vice president of Converse in 1992 when this article was written. Also, In the heel, Converse's REACT technology uses a proprietary visco-elastic compound to disperse the shock of impact. From this article. Also I was able to find the patent for React, you can view it here. Today's shoe is the Converse Accelerator 3. 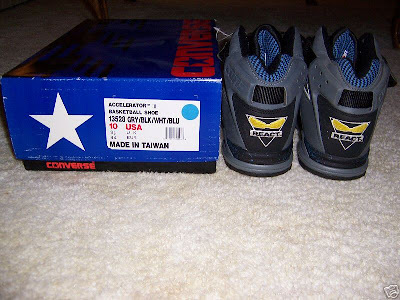 The Converse Accelerator 1 made a comeback of sorts during All Star weekend when Bill Laimbeer rocked them during the shooting stars competition, or whatever they're calling it these days. I've never seen pictures of the Accelerator 2, but they must be out there somewhere. 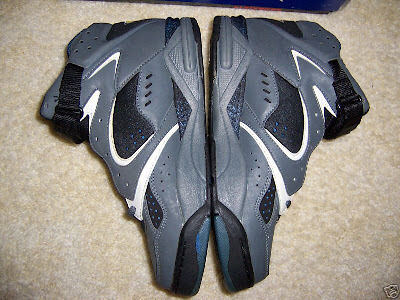 Regardless, these come in a cool grey, black, and blue colorway. 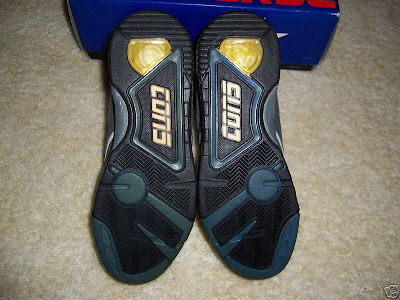 In this last picture you can clearly see the React Juice in the heel of the shoe in all of its neon yellow glory. I am headed home for the weekend, so I am posting this and getting out of here. Thank you for your continued support of the Converse blog, before you go take a second and vote in the poll. 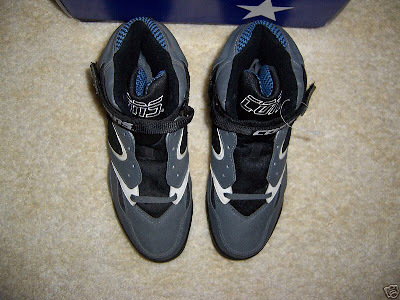 how much do these shoes run for in price ?